Making vegetarian excitingly stylish, Panayaa aims to re-invent desi gourmet with some crazy, wacky and out of the box culinary experiments. Started by Arham Food & Hospitality LLP of Riso, Ithaka and Firki fame, Panayaa, is the progressive Indian restaurant in Mumbai. 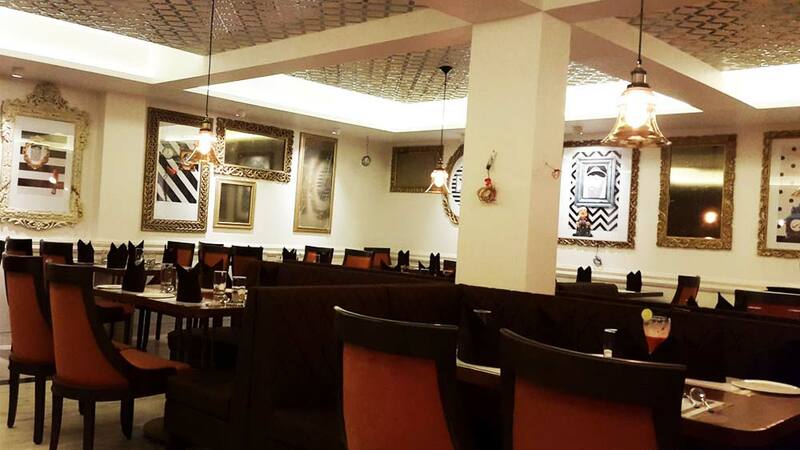 With a lavish ambiance and the classic combination of white and gold; Panayaa is all set to take its customers’ to intoxicating aromas of delicious Indian food and a menu that’ll take the dining experience to a whole new level. “The idea behind Panayaa was to bring together the best of traditional Indian cuisine and modern culinary techniques to create something unique. Customers today do not go out only for a meal but for a holistic dining experience. With our progress Indian fare, Panayaa aims at delivering such memorable dining experiences time and again by offering something unusual yet undoubtedly delicious for everyone. We’ve got traditional Indian dishes with bags of innovation and creativity to cater to today’s global audiences”, shared, Kekin Dedhia, one of the owners of the restaurant. Making vegetarian excitingly stylish, Panayaa aims to re-invent desi gourmet with some crazy, wacky and out of the box culinary experiments. From molecular gastronomy ranging from sous-vide chaats and nitrogen infused contemporary appetizers to the best that regional India has to offer, Panayaa redefines Modern Indian in a 6,000 sq. ft. cultural restaurant fit for kings. With over 20 signature dishes that are atypical to Panayaa, the creativity pans across mocktails, appetizers, mains and even dessert! From Spherificated, deconstructed Dahi Vadas to Papdi Chaat Pizattas with Pomegranate Caviar, the menu also comprises of exclusives such as Dhokla Oxycide, Dal Khichdi Arancini and Mohanthal Cheesecake to name a few. Panayaa’s menu will also brag of some glorious wines and smoked beers. With an eye for detail and the emphasis on excellence, Panayaa has also set up their own very garden to produce in house micro greens and colorful edible flowers used in many dishes. Founded by Kiran Dedhia and Kekin Dedhia, Panayaa is all set to launch their newest venture that is by far the closest to their hearts. Panayaa also has a lounge/ banquet hall that will be opening shortly along with a terrace that can be solely reserved for private parties. So don’t forget to drop by and enjoy some of your favourite Indian dishes with twists like never before! Yumist raises $2mn led by Ronnie Screwvala..
Edelweiss Marches Into Franchise 100 List..